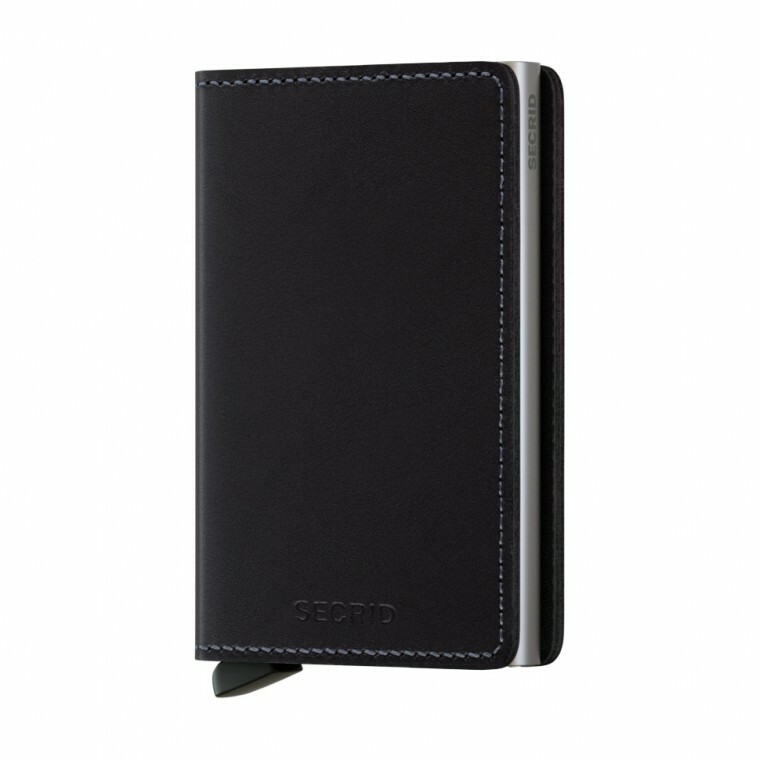 Secrid Slimwallet Original features smooth leather with a natural glossy finish. A timeless classic that fits your style whether you're wearing suit of worn-off jeans. The Slimwallet is a modern take on classic bifold wallet. 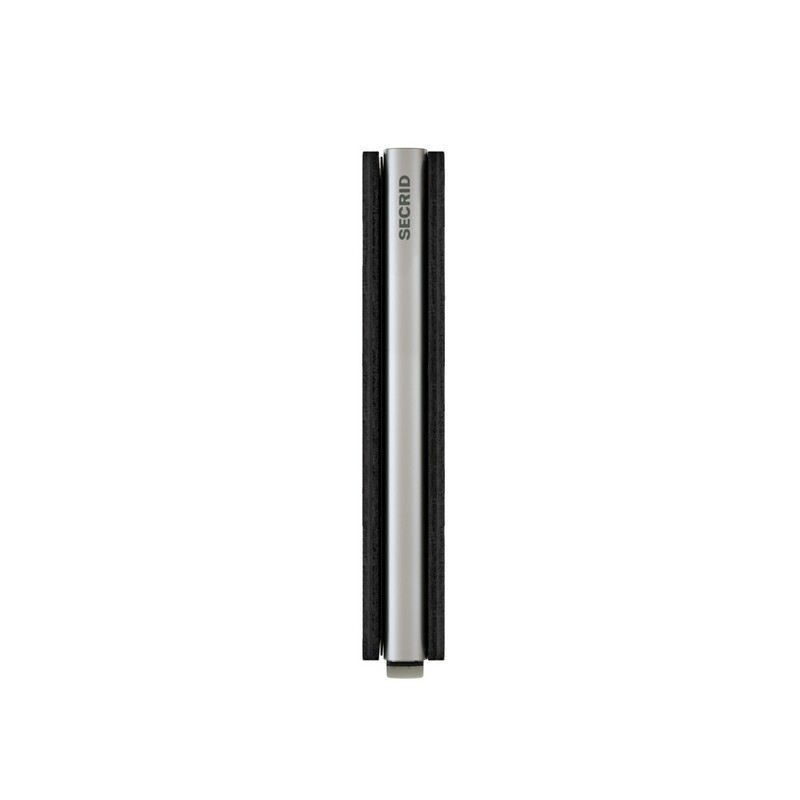 The design makes it compact and slim without reducing capacity. Like every Secrid wallet, it's secure and comfortable to use. Each Slimwallet has the aluminum Cardprotector inside. The patented mechanism provides a simple and fast access to your cards. Push the lever and the cards slide out smoothly, ready for immediate use. The strong case protects the cards against bending, breaking and unauthorised wireless scanning. 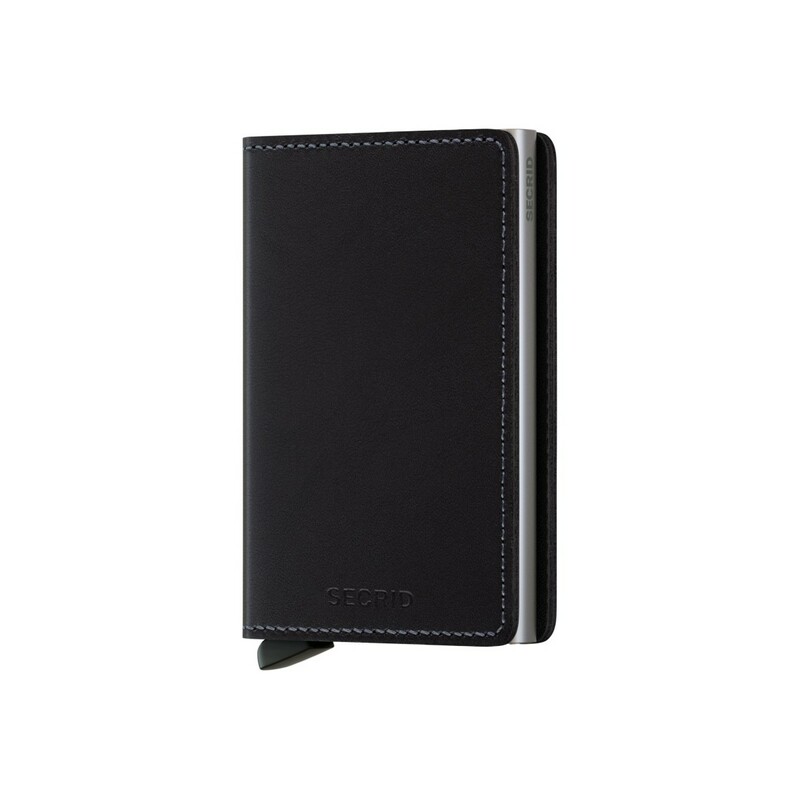 The leather billfold offers space for extra cards, banknotes and business cards. There is no stud closure, which makes it slimmer. The cards inside Cardprotector are accessible without opening the leather billfold. Nearly 100 craftsmen are building the Secrid wallets with great precision in Holland. Each wallet comes with unique serial number as a proof of authenticity. Despite the compact size, Slimwallet holds a lot. 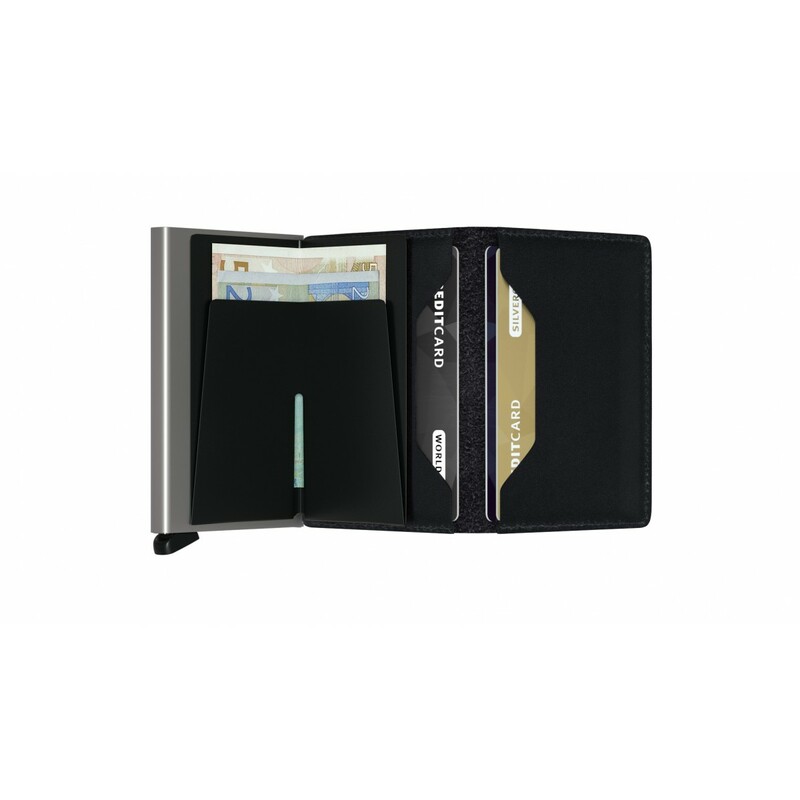 It has the Cardprotector integrated and the leather billfold offers additional space for cards and banknotes. Most cards nowadays contain a chip and antenna for wireless communication. These RFID / NFC cards are convenient but there is a risk involved - they can be read, activated and cloned from a metre away. The Carprotector inside all Secrid wallets protects your cards from these kind of unwanted incidents. By revealing only a part of the cards, the signal is reduced but still sufficient for the use. Your cards will be protected not only when tucked away, but also when you use them. Can't decide which Secrid product is the perfect choice for you? We created a little guide for you to help.